Mining continues to be a serious threat to the wildlife and integrity of the forest ecosystem in and around the Okapi Wildlife Reserve. 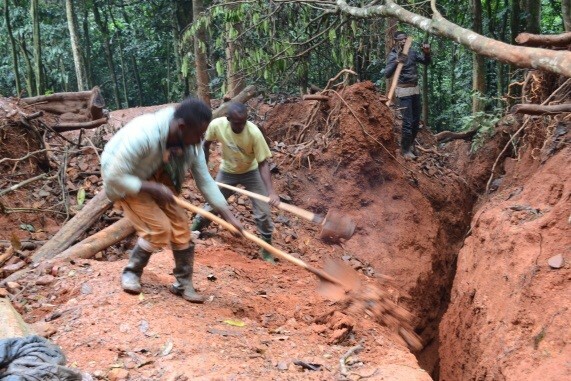 Progress has been made in closing many of the illegal gold mines, but a few larger mines continue to operate despite regular interventions by ICCN rangers and Congolese soldiers. During my visit to Epulu in March, it was agreed that ICCN will focus on closing the 2 large gold mines north of NR4 (East/West road through the Reserve, and the red line on the map) while the Congolese army will concentrate its forces to block access to the mines south of NR4. 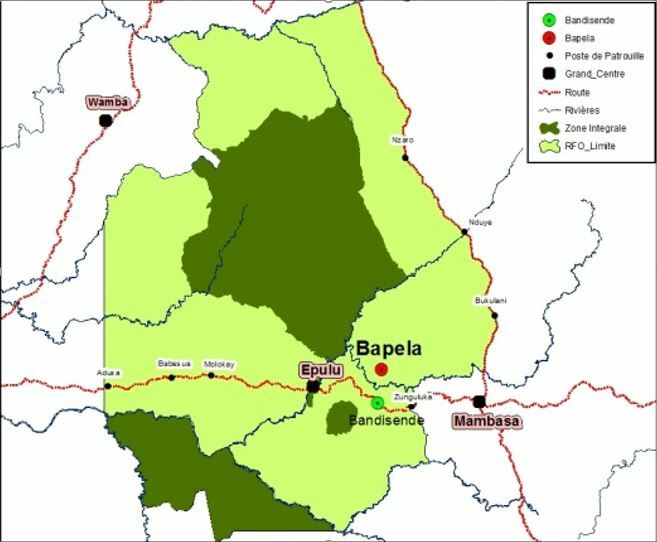 Northeast of Epulu is a mine site called Bapela which is accessed by walking north through the forest from the village of Badisende. ICCN has made several attempts to evacuate the miners from Bapela, but once the rangers leave, the mine has been quickly reoccupied since it is easily accessed from the main road. It was decided by the warden of the Okapi Wildlife Reserve that a mission to close the gold mine in Bapela by customary chiefs directing shamans to put a curse on those doing the illegal mining was seen as the best chance to keep the mine from being reoccupied and preserve the biodiversity in this part of the forest. 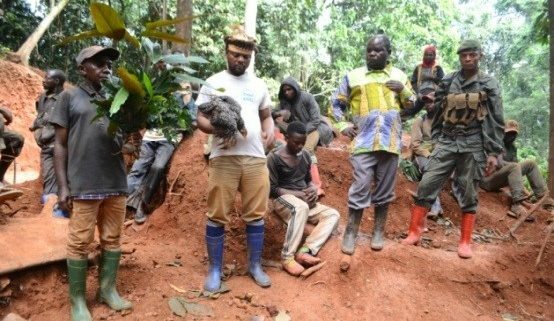 The belief in the power of ancestral spirits and consultation with soothsayers is a respected cultural practice used to guide most individual choices in DRC. The mission was initiated by nine chiefs of local villages and also included elders and indigenous Mbuti pygmies accompanied by a Community Conservation team (OCP, WCS, and ICCN) which were escorted by ICCN rangers from the village of Badisende to the Bapela mine. The delegation met with the miners at the Bapela mine and announced that the customary chiefs were closing the mine and advised the miners to leave as the traditional healers were putting a curse over the area. Those who decided not to leave would soon suffer an accident brought on by the curse. 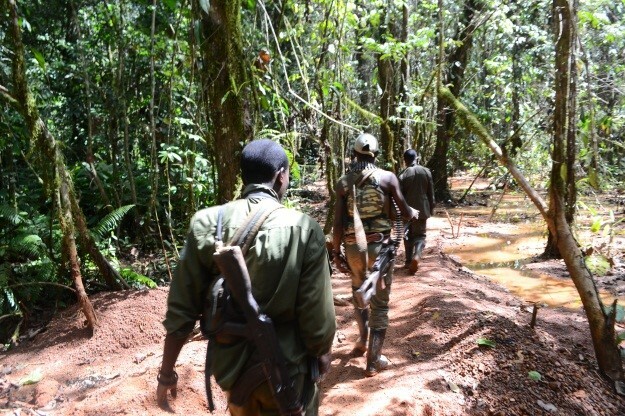 The delegation also warned the rangers who were assigned to secure the evacuated site that they should not facilitate access to the mine by anyone for evil would fall upon them if they allow long-lasting damage to the environment. 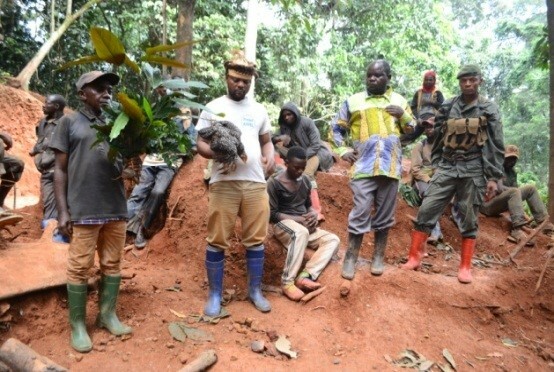 The miners fearing the effects of the curse decided to vacate the area and after they left with their belongings, members of the local population proceeded to fill in all the holes made by the miners. The commitment of the population to reinforce the message of their chiefs left the mine in a state that would make it difficult to be reopened. 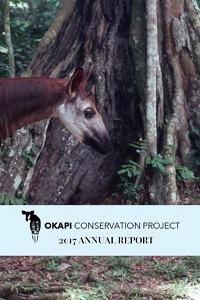 In this case, the respect for customary beliefs reinforced by community action was an effective detriment to destructive actions that have a negative effect on the quality of okapi habitat and reduced the killing of wildlife for food to feed the miners. The closure of Bapela by the customary chiefs without violence was successful because it was done in the presence of all people who are involved in the protection of the forest and used traditional beliefs in the spirits of ancestors to protect the rainforest from exploitation. Letting communities close the Bapela mine based on spiritual views will hopefully provide the necessary time for plants and trees to recolonize this mining site providing a place where okapi can browse for years to come.